We were married at Berowra Waters Inn two years ago now. So we returned to celebrate our anniversary. Some things have changed, Dietmar Sawyere no longer runs the place and there's a new chef at the helm, Brian Geraghty and we were pleased to find the food was as fresh, innovative and artistic as that of his predecessor. We were also happy to see a familiar face at the helm of the boat that ferries you across and he remembered us too. With all the confusion of Tony Bilson coming and going the restaurant staff themselves had lost track of our reservation and the small fact that it wasn't only our anniversary but that we had been married at that very same spot. It was sad to see the beautiful old fireplaces covered up with plain white render and the lovely woven timber lampshades were gone, replaced with odd paintings and reminiscences of when Tony Bilson first ran the place. In the end these were small disappointments compared to our relief that the food was still wonderful, if at a far more rushed through pace then the leisurely slow stroll of plates that we'd enjoyed previously. 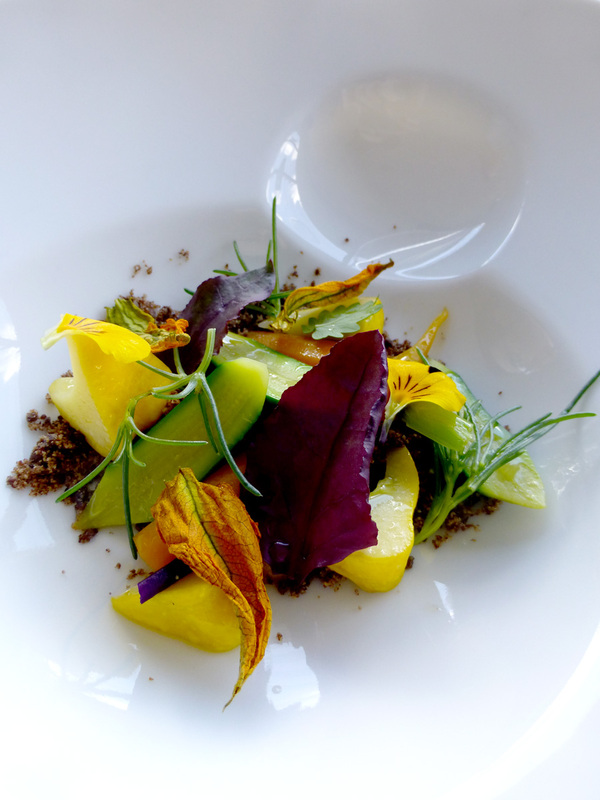 Spring Vegetables with liquorice crumb. This was followed by Duck with peach jelly bits but we were distracted and forgot to take a photo until we'd demolished it. 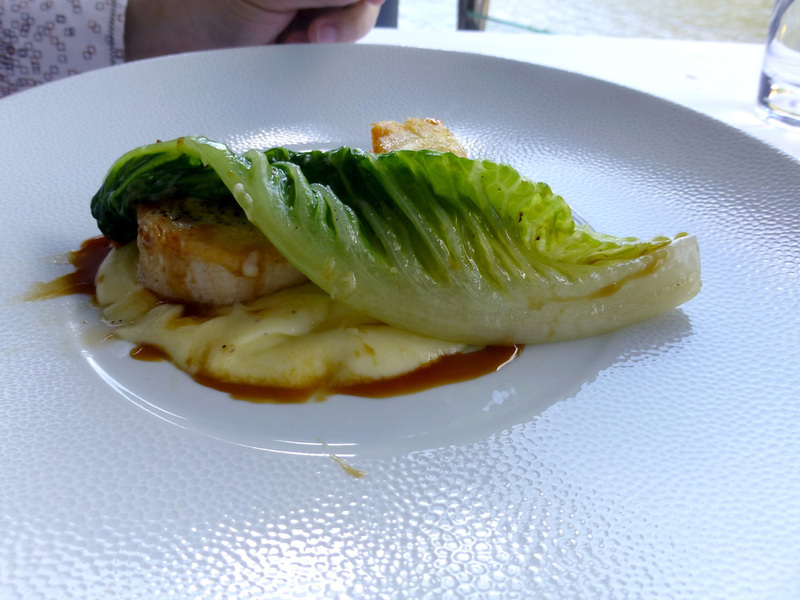 Slow cooked beef / chicken ballotine with crispy potato cakes, mash and a poached lettuce leaf. My husband can't eat beef so one thing we particularly liked was that the substitute meal was the same, all the other flavours were maintained and only the meat changed so we could both share the gasps of amazement at the joyously rich and crispy potato. Cheese course. The goats cheese was served with an onion sorbet and hazelnuts. The sorbet was interesting but a bit too overpowering for everything else. Two ducks swim past. A lucky omen in our family. It's always the most perfect place to enjoy a long lunch, watching the other boats go past along the river, making the most of a sunny weekend.